People related to photography can also avail the pallets in so many different ways! Rusticity of pallets can serve the photographers as a best ever backdrop and various artificial decors and props can also be used to make your photographs more interesting and captivating to eyes just like this DIY pallet moon cradle, best to fancy up the kid’s snaps and pictures! It has purely been planned and constructed with pallets and have given a precious moon look by installing differently altered and accordingly cut down wooden slats! It can be added to kid’s bedroom as a perfect night embellishment to create a whimsical look! You can take help of some precise wood cutting tools or carving router while creating the moon curves which need to be neat as per demand of a fabulous wooden moon design! Using different paint shades it can be given a personally favorite look and wood stain and sealant can also be used to protect the wood more and also to get a custom lustrous tone of the wood! 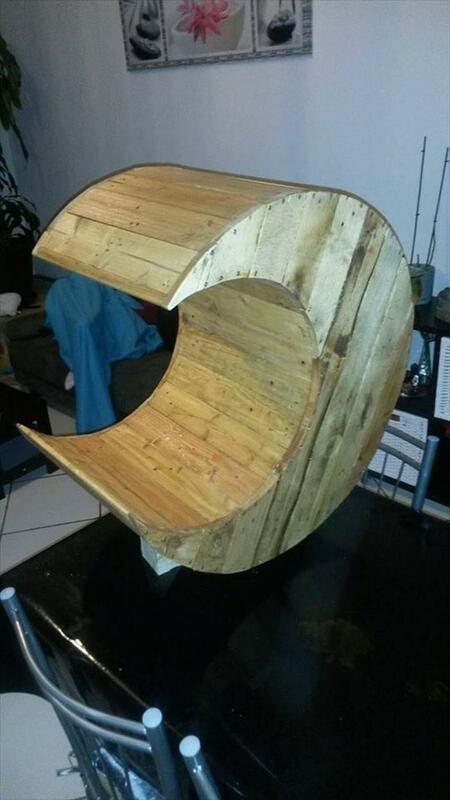 For world of pallet art and crafts, pallets can serve as the most amazing raw material! Their stamina and feasibility just make the pallets above all and one major feature that held dearest to all is their free availability! Removed pallet slats have been sanded, cut down to respective sizes and finally has been integrated to gain this lustrous wooden moon shape which would rock while intending to give some decors to a room! 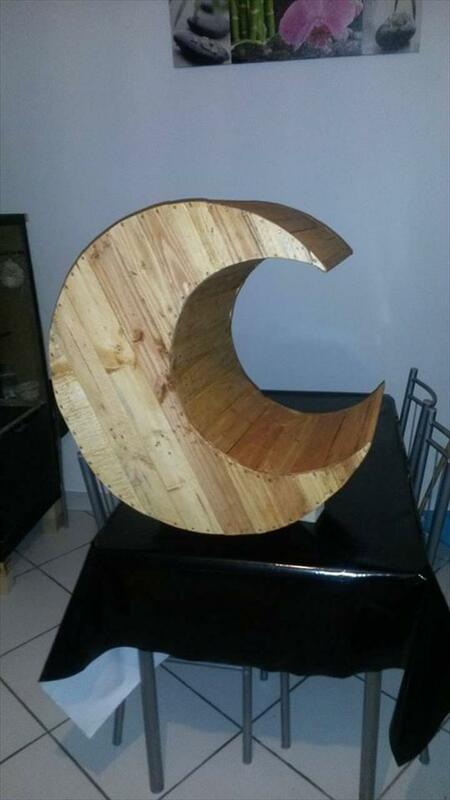 This creative wooden moon is really what that a photographer need to give his pictures some beautiful effects! 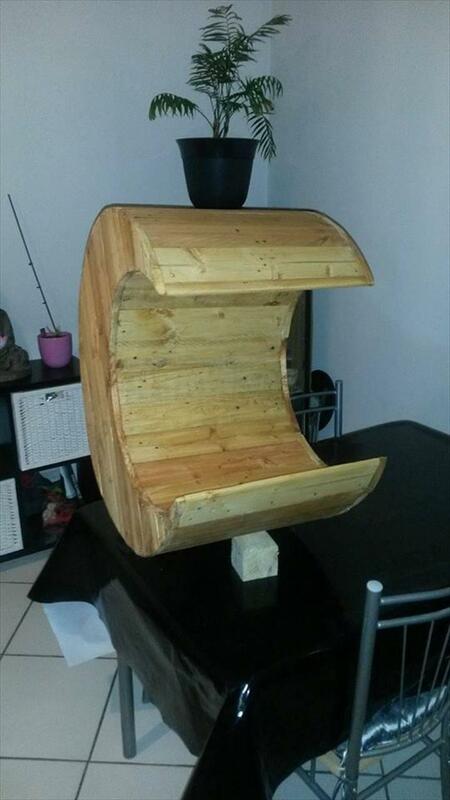 It has wholly been created with pallets and is purely handmade not machine-made!